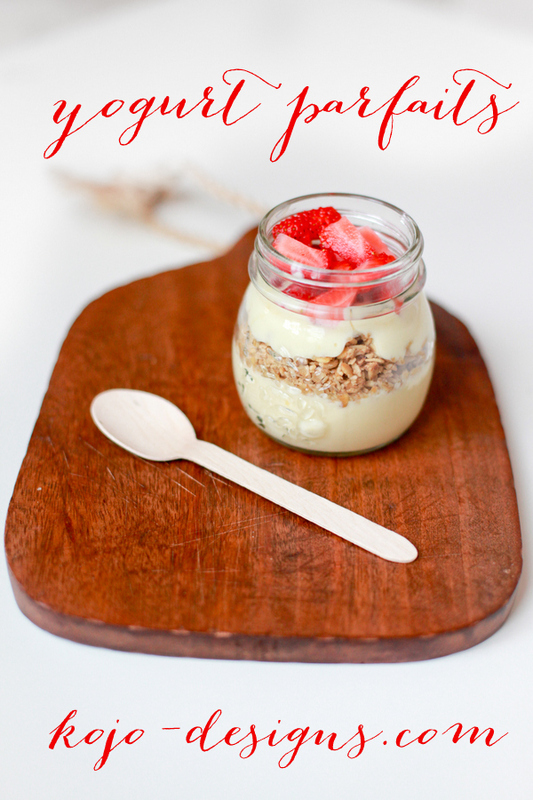 A couple weeks ago I threw a brunch baby shower for a dear friend and we made a yogurt parfait bar. 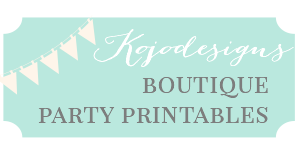 It was SO simple to put together and all the guests loved it. 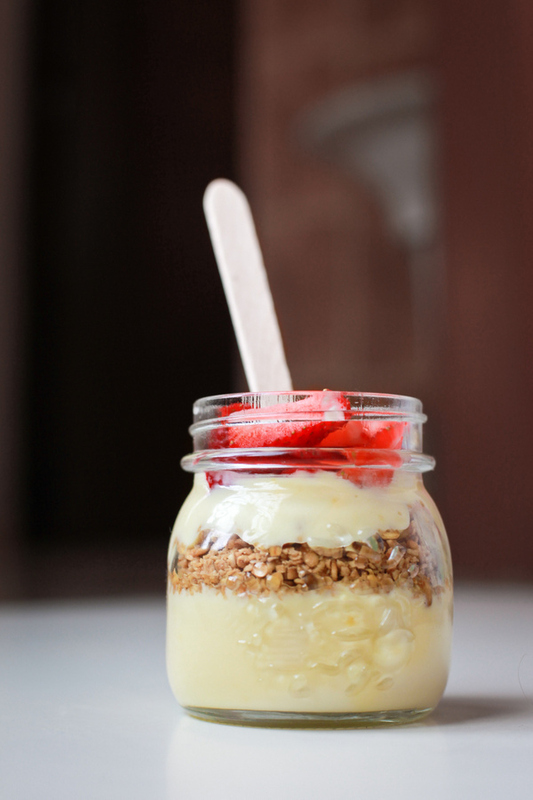 We pre-filled mini mason jars with the yogurt custard (recipe below) the night before which made it super easy to assemble in the morning. The mason jars also made it convenient for guests to add toppings, put the lid back on the jar and take it with them to their seat. Doing a bit extra to make the yogurt extra tasty was also very appreciated. Whisk all ingredients together in a mixer on high for 2-3 minutes or until it begins to thicken. Divide evenly into 12 mason jars (it should not fill the mason jars- leave room for every person to add their own toppings). 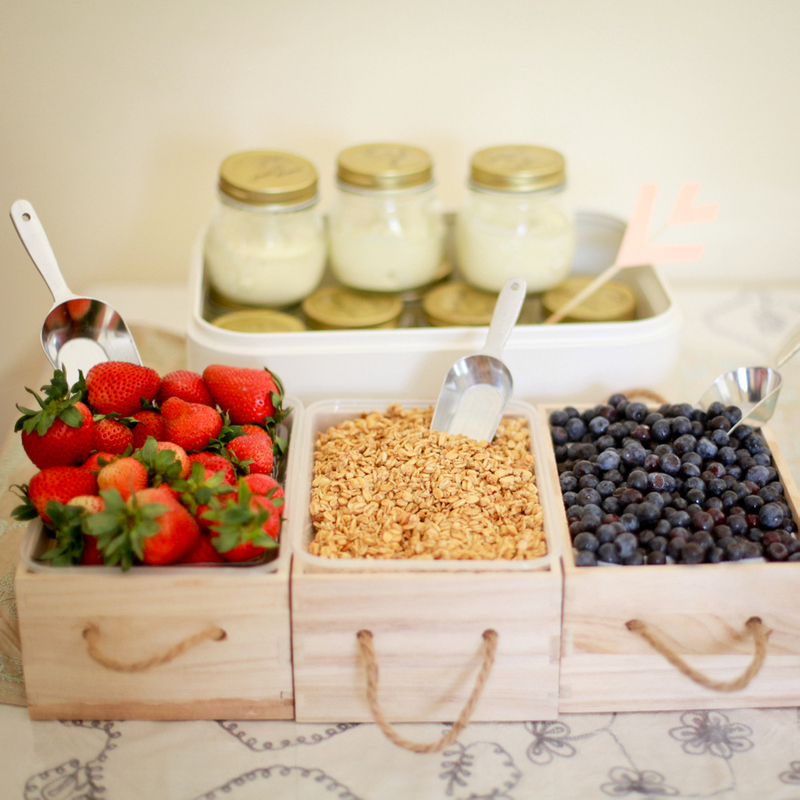 Put the toppings into bowls or crates and serve along side the mason jars. I will definitely be doing this station again and again at brunches!